Riley Hall is from Luxemburg, Wi originally and is currently attending UW-Stevens Point. Riley had a varied and great experience this summer with responsibilities ranging from geese banding to bear baiting and of course time on the river. He had several experiences working with endangered resources on bluff prairies and helping with the massasauga rattlesnake count. 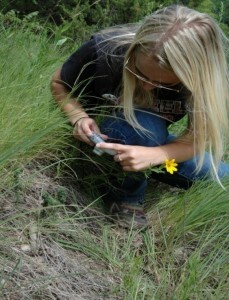 Buffalo County was fortunate to have two excellent summer interns to work on conservation projects. Our “traditional” intern was Jarod Schamaun originally from Alma. Jarod is attending UW-River Falls and intends on seeking a field in conservation upon graduation. 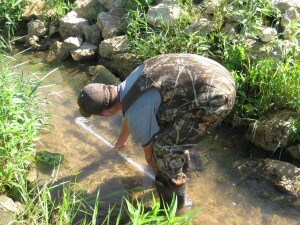 Jarod was involved in wildlife habitat enhancement, stream monitoring, as well as many other projects. See his complete report here: Schamaun final report 2015. We all expect great things from Jarod in the future. 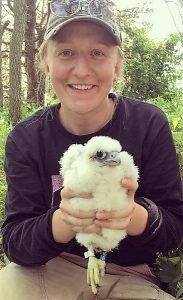 A special grant from the Wisconsin Environmental Education Board (WEEB) allowed us to hire a second intern in 2015 to primarily work on Dry Bluff Prairie restoration and education. Tristin Christopher, originally from Modena and now attending UW-Eau Claire was chosen to fill this position. She is majoring in Environmental Public Health. Tristin was involved in dry bluff prairie restoration, native plant and animal identification, trail development, and developed a spreadsheet of Buffalo County residents interested in dry bluff prairie restoration. See her final report here: Christopher Final Report 2015. Tristin did a great job leading this project and we now have close to 50 Buffalo County landowners interested in restoring their dry bluff prairies. Breana did a great job this year for Buffalo County. Her major projects were stream monitoring, trout stream work, CRP enrollment, along with numerous other projects. See her complete report here 2014 Final Report. BEST OF LUCK IN THE FUTURE BREANA!! 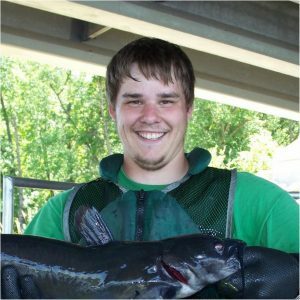 The Buffalo County Natural Resources Internship Program is an internship for a college student pursuing a degree in a natural resources field. For three months of the summer, the intern works 35-40 hours a week, accumulating approximately 500 hours of work. The program provides the intern hands on experience in a variety of conservation projects, while also providing the opportunity to work with county, state, and federal conservation agencies. 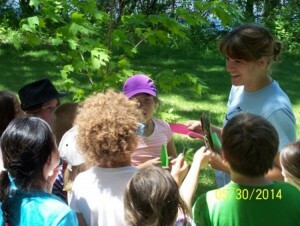 The agencies the intern works with are: Buffalo County Land Conservation Department, Natural Resource Conservation Service, University of Wisconsin – Extension, and Wisconsin Department of Natural Resources. The intern receives a $5,000 scholarship, due to the generous contributions from conservation clubs, businesses and private individuals. A contributor list is found at the end of the report. Joe Krumrie was the Buffalo County Conservation Intern for Buffalo County in 2013. Joe is originally from Mondovi, WI. 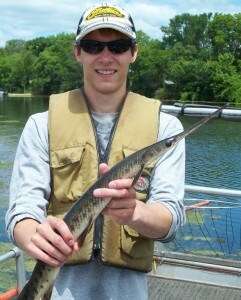 Currently he is a senior at UW-Stevens Point majoring in Wildlife Ecology. 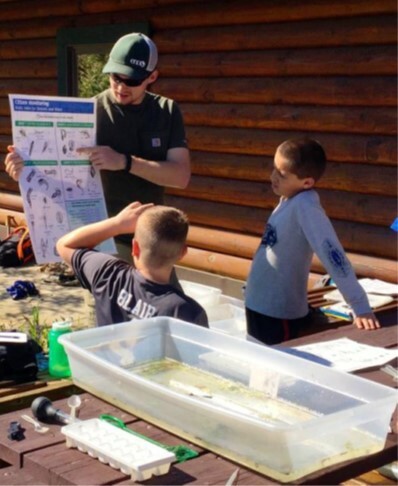 Major projects for the summer included; Massasauga Rattlesnake survey in the Tiffany Wildlife area, Bluff Prairie restoration, stream water monitoring, conservation planning and other projects as time allowed. Joe was a great addition this summer. Good luck in the future. The NRCS, DNR, LCD, and UW-Extension were able to employ a conservation interim for a second year, funded by local donations . Mr. Aaron Olson, UW-River Falls (home town is Independence) did an excellent job as the 2012 summer intern. Click on the link below to read Aaron’s intern report and see the work he completed. 2012 Scholarship Contributors: Thank you to all of our sponsors! Because of great local support, this internship will be available in 2013. Check back to this website to find out more information as summer approaches.